In the past 30 years, Azure has witnessed huge strides in eco-design, including the birth of Cradle to Cradle, the first solar-powered cities and the development of organic building materials. In 1985, the year same year Azure launched, a trio of British Antarctic Survey scientists discovered a hole in the ozone layer. First reported in the scientific journal Nature, the news shocked the world and inspired a call to arms. Five years later, Earth Day became a global phenomenon, bringing eco-consciousness into homes and commercial spaces worldwide; and in 1992, the Earth Summit in Rio de Janeiro corraled government leaders to try to tackle the pollution crisis. One of the biggest sources of global greenhouse gases – accounting for a third of all carbon emissions – is buildings, making sustainability the most important goal of the architecture profession in the past three decades. In the 1990s, we saw the first programs to assess, rate and certify the sustainability of buildings, including the UK’s Building Research Establishment and Environmental Assessment Methodology (BREEAM) and the U.S. Green Building Council’s Leader in Energy and Environmental Design – a standard now used around the world. There are LEED-certified projects in over 140 countries and green building councils have been established in many nations, including Canada. While these measures have taken time to coalesce into meaningful change, a number of landmark moments have inspired the architectural community over the years. Here are seven major milestones in green building, from the books that made us think outside the box to master planners dreaming up carbon-neutral cities. 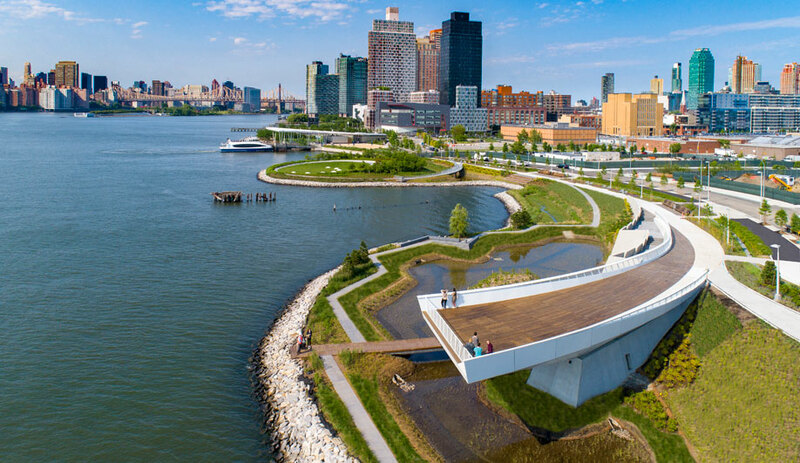 In the 1990s, three seminal thought leaders opened our minds to how the design and architecture professions can better understand, and work to the benefit of, nature. 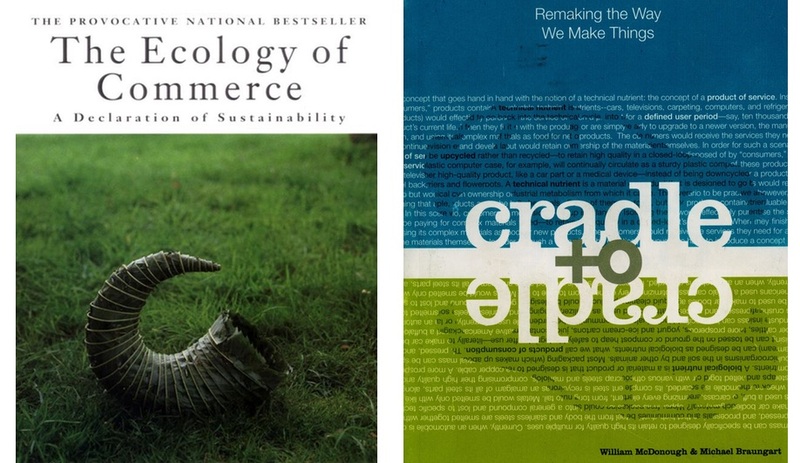 In 1993, Paul Hawken wrote The Ecology of Commerce: A Declaration of Sustainability, the game-changing book that famously inspired Ray Anderson, the founder of Interface, to sustainably transform the operations of his carpet business from top to bottom. 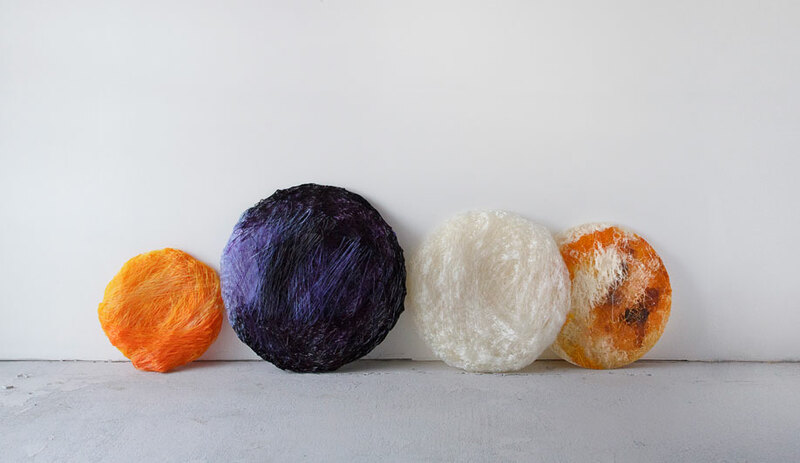 In 1997, Janine Benyus came out with Biomimicry: Innovation Inspired by Nature, which implored designers to mimic nature’s forms and processes, and influenced an entire generation. 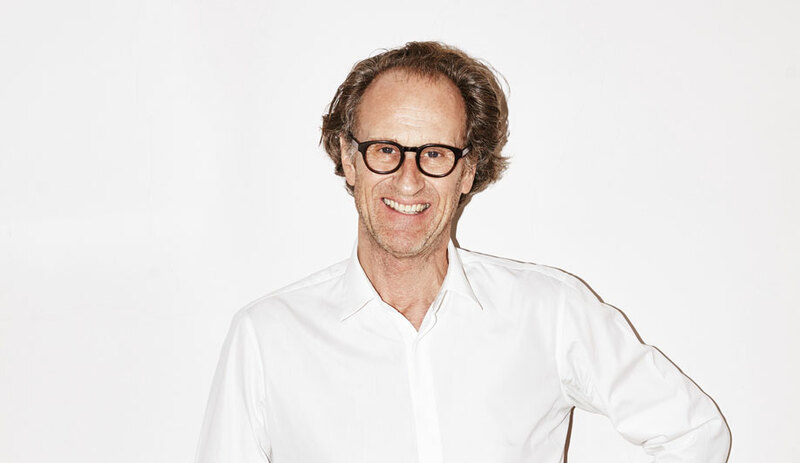 Then, in 2002, William McDonough and chemist Michael Braungart co-authored Cradle to Cradle: Remaking the Way We Make Things, a manifesto calling for a new industrial revolution. 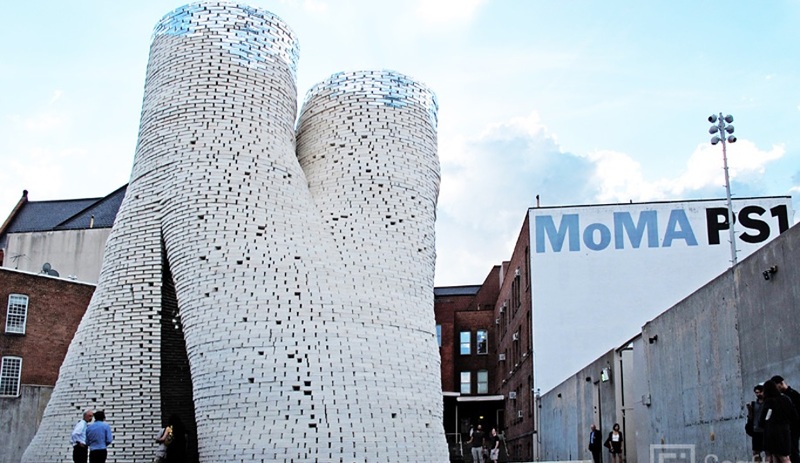 Its main principle, “waste equals food,” suggests a closed-loop industrial cycle that sees products – from bricks to flooring – constructed of biological and technical nutrients that break down naturally and feed back into the cycle. In the 1990s, with the founding of the U.S. Green Building Council (and the first LEED standards) and the Passivhaus Institut in Germany, we began to see the first modern buildings that exemplified green principles and ambitiously sought that ultimate goal: carbon neutrality. 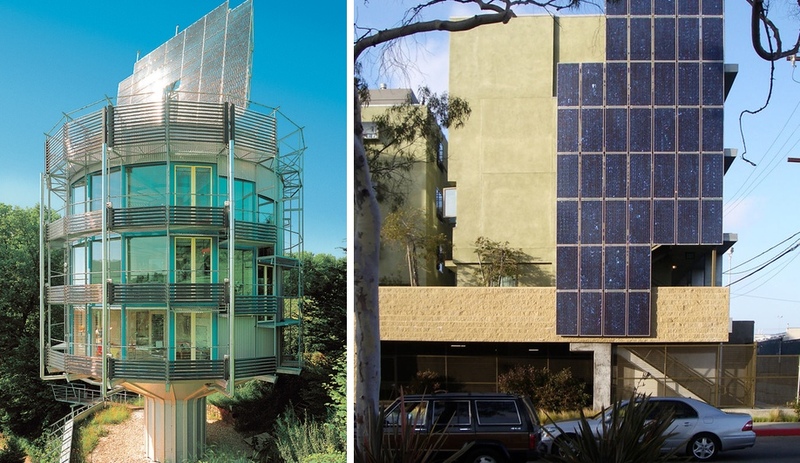 Residential and commercial projects that could generate their own energy – often via a combination of renewable energy sources, including solar, wind and geothermal, as well as passive measures, such as building orientation that maximizes daylighting – were held up as the ideal to which the entire profession should aspire. During this time, the projects that caught our attention at Azure for merging modern design principles and sustainability included the Futureshack by Australia’s Sean Godsell (1985-2001), Rolf Disch‘s Heliotrope (1994) – considered the first carbon-positive building ever made – and the trailblazing affordable housing projects of Santa Monica’s Pugh + Scarpa (now Brooks + Scarpa). Completed in 2002, the latter firm’s Colorado Court is almost energy-neutral, and was the first social housing project to receive LEED certification. 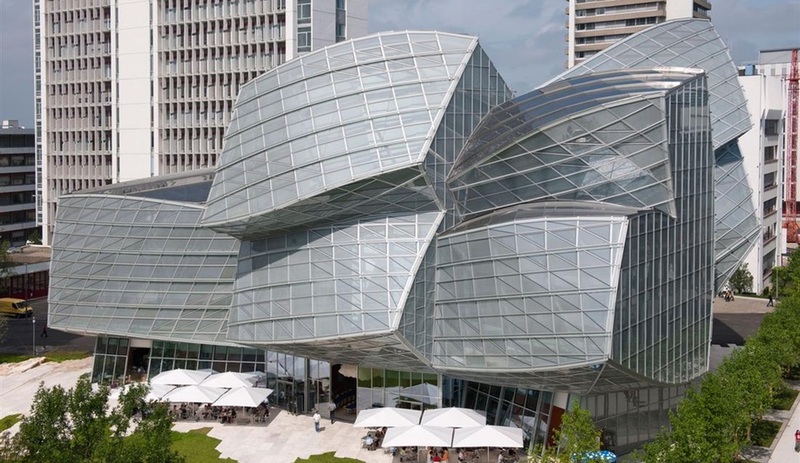 Since then, building information modeling has evolved so that architects can assess a building’s green performance through the design and construction phase, and sustainability specialists like Transsolar – which helped Frank Gehry design the Novartis headquarters in Basel, Switzerland – now engineer custom solutions for any type of building in any environment. Now, you can even get a prefab house that generates more energy than it uses. When Paolo Soleri started his Arcosanti project in the Arizona desert in 1970, he could probably only dream of a day when urban planners and architects would design and retrofit whole communities – in fact, entire cities – with a major focus on minimizing their ecological footprint. After Heliotrope, Rolf Disch designed one of the first solar-powered communities, the Solar Settlement, in Freiburg. 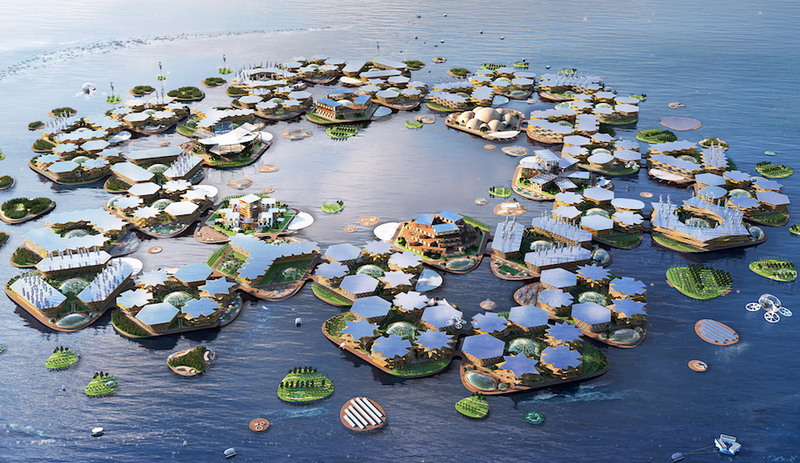 And other projects – including Foster + Partners’ Masdar City in Abu Dhabi and Arup’s master plan for Dongtan, China – have promised a future of carbon neutrality. 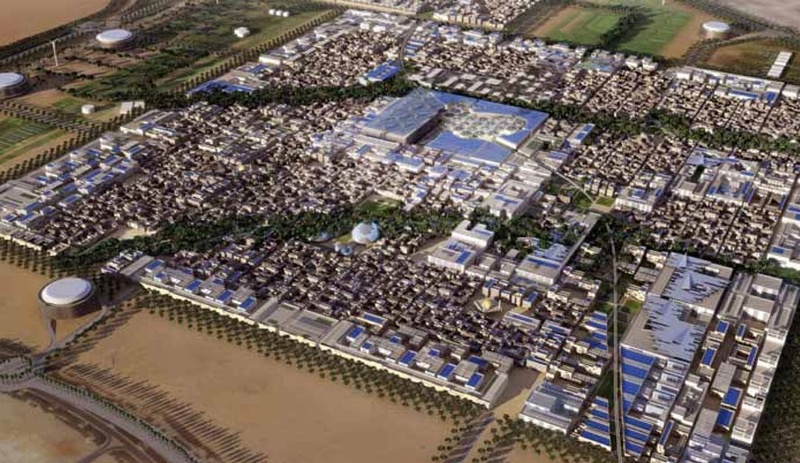 But the most powerful change happens in existing cities, and in 2002, Edward Mazria established Architecture 2030. The organization has enlisted cities across North America to adopt the 2030 Challenge, with a goal that all buildings will be carbon neutral by 2030. Key to the organization’s success has been an activism rooted in pragmatism: it has worked with mayors and architects’ associations to set goals, and has even delivered a palette of building systems and materials that professionals can use to design more sustainably. Since 1986, when Shigeru Ban began to explore the potential of cardboard tubing, the Pritzker Prize–winner has put the seemingly work-a-day material to extraordinary uses –from emergency shelters for disaster zones to permanent structures like the Cardboard Cathedral, capped with an A-frame roof made of 86 paper tubes, that he completed two years ago in Christchurch, New Zealand. The Japanese architect’s work has encouraged other architects in reintroducing organic building blocks, from mud to wood to mushrooms, as viable industrial materials. Now, humble materials are taking centre stage: Copenhagen’s GXN – the sustainable material lab run by architecture firm 3XN – believes that cork will be the next big thing; and David Benjamin, principal of New York’s The Living, captured the public’s imagination when he erected Hy-Fi, a towering pavilion made of mushroom bricks at MoMA PS1 in Queens, New York, last year. Foster + Partners’ Gherkin was perhaps the first high-profile project in the world to feature a curtain wall that reacts to outdoor climates. But in the decade since, new technologies have been developed to allow a building to function more like the human body. 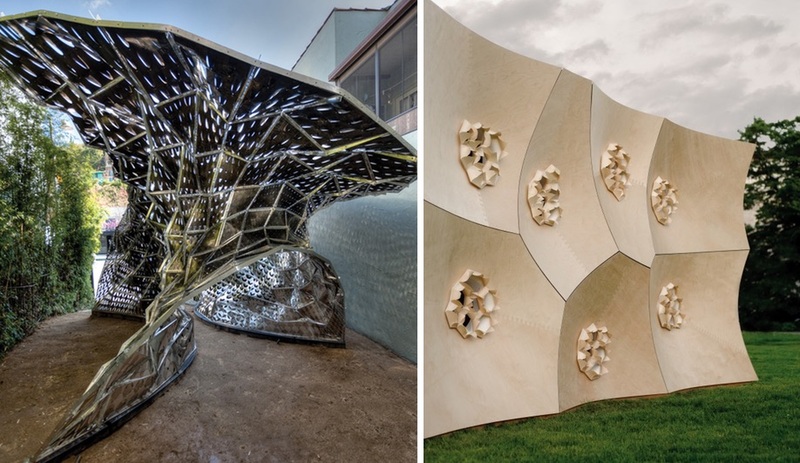 In 2011, L.A. architect Doris Kim Sung exhibited Bloom, a breathing building skin prototype made of thermobimetal that expands and contracts in response to exterior conditions to shade or ventilate the interior. At the University of Stuttgart, Achim Menges has developed Hygroskin, which utilizes wood’s propensity to contract and expand in response to humidity. Meanwhile, novel air-scrubbing surfaces are now helping clean the air around buildings. 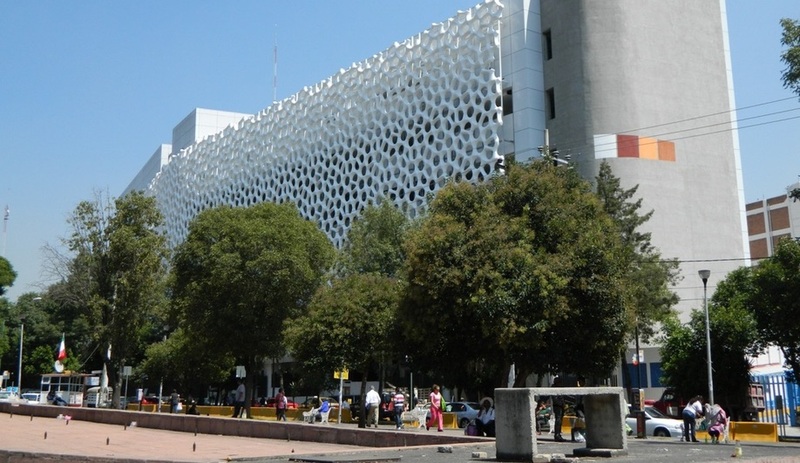 In Mexico City, the Torre de Especialidades hospital tower, completed in 2013, features a 2,500-square-metre façade covered in Prosolve370e – a unique “tile” coated with titanium dioxide that is activated by UV light to break down and neutralize VOCs and nitrogen oxides. 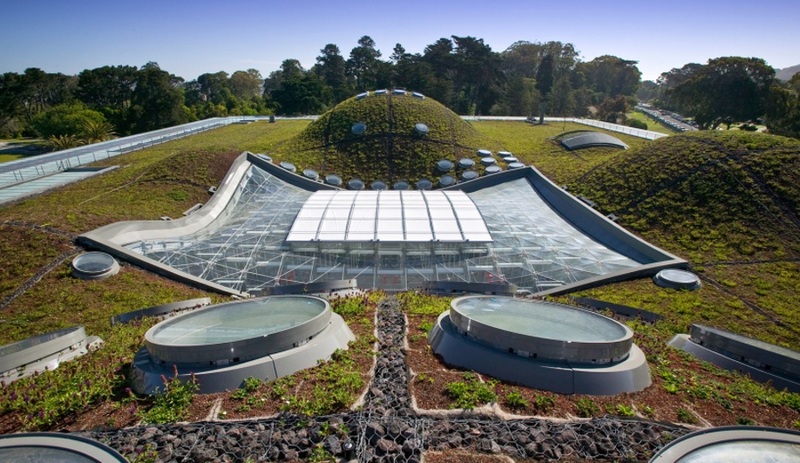 In 2007, Italian architect Renzo Piano topped the California Academy of Sciences with a stunning 2.5-acre sweep of vegetation contoured over a maze of mounds and skylights. At the time, architecture critic Christopher Hawthorne wrote, “Never before has a public building in the U.S. so persuasively made the case for reconciling the architecture profession’s high-design wing with its ecological true believers.” While Piano’s building was groundbreaking in its embrace of the green roof as an architectural focal point, we can thank Germany for enlightening the world to the benefits of green roofs. In the 1990s, the country’s Landscaping and Landscape Development Research Society developed the international standard for green roofs. Since then, many cities have enacted tax abatement, grant and “feebate” policies to encourage people to turn the grey into green. In 2009, Toronto became the first North American to enact a by-law requiring new construction to devote a portion of roofing to vegetation; and just last week France passed a law requiring roofs to be covered in solar panels or vegetation, or a combination thereof. It’s a no-brainer on many levels. Besides reducing a building’s heat gain and increasing its insulation, planted roofs benefit their surroundings – giving birds and bees a natural habitat, helping with stormwater control and cleaning the air. The popularity of green roofing has spurred a whole new marketplace of plant products for projects at every scale, from Arup’s Pocket Habitats, to LiveRoof’s pre-planted modules and Xero Flor’s easy-rollout sedum mats. The denser the downtown core, the better. And in many cities, homes and high-rises are also doing double duty in other ways. In 2008, Fritz Haeg published Edible Estates, the manifesto for a movement flourishing in many cities – from restaurants growing their own vegetables on rooftop gardens to condo dwellers turning their balconies over to herb pots and neighbourhoods planting community gardens. For architects, urban densification is fertile with possibilities. Stefano Boeri’s Il Bosco Verticale in Milan, finally completed after eight years of construction (and speculation about its success), is an ambitious residential project that incorporates a variety of plant and tree species directly into the balconies, reintroducing animals – like falcons – that haven’t been seen in the city in some time. 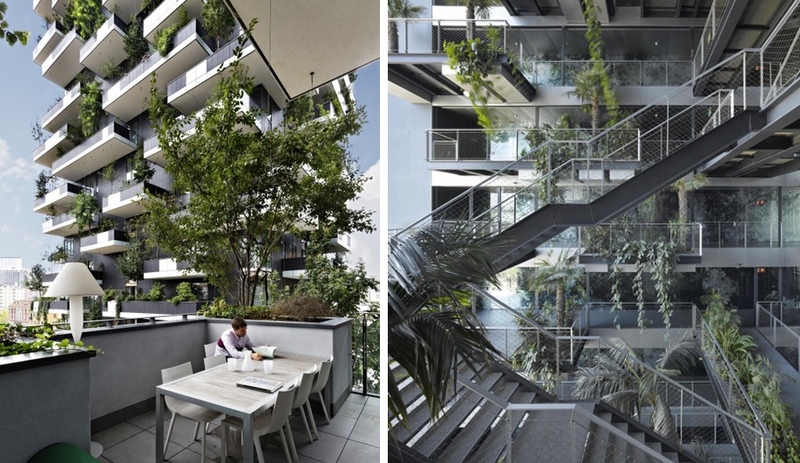 And in Barcelona, Jean Nouvel has designed a hotel with a soaring atrium filled with palm trees. And others have long been exploring the ideas of turning buildings into vertical farms – food factories, essentially – which is something that might happen soon in Wyoming. Concrete as the obvious material choice for high-rises is also up for a rethink, as Shigeru Ban’s material innovations have also laid the groundwork for skyscrapers made of wood, which has a much lower carbon footprint. 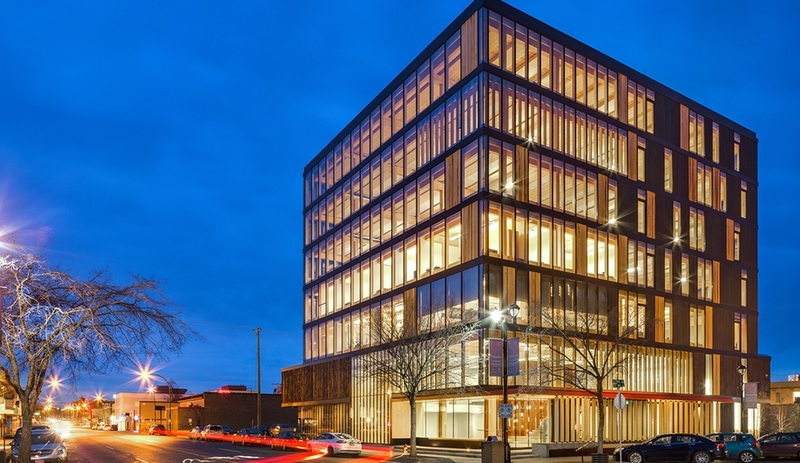 Vancouver architect Michael Green is a proponent of all-wood structures; his 29.5-metre-tall Wood Innovation Design Centre (2013) in Prince George, B.C. is one of the tallest wooden buildings in the world. Meanwhile, Vienna’s Rüdiger Lainer and Partner is planning a record-breaking 84-metre-tall residential tower.